De La Salle Whips C.C. 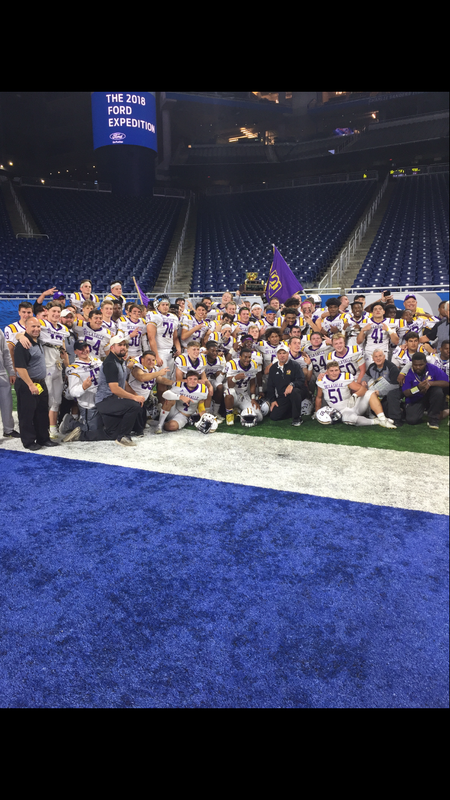 The DLS Pilots knocked off Catholic Central Saturday Night at Ford Field for the Catholic League A-B Title in a rematch from just a week ago when C. C. beat the Pilots 10-7. Quarterback Nolan Schultz scored on a one yard quarterback sneak and scampered later in the game 70 yards for a touchdown. Evan Valincourt scored untouched from 15 yards out as the Pilots got revenge 24-6. De La Salle Head Coach Mike Giannone said ” Schultz is one heck of a competitor”, “he’s in great shape and he’s got a lot a heart” added Giannone. That’s a good team we beat tonight, they are very physical, but we were up to the challenge and I’m proud of the way our guys played” concluded Giannone. DLS finished the regular season 7-2. C.C. finished 6-3.